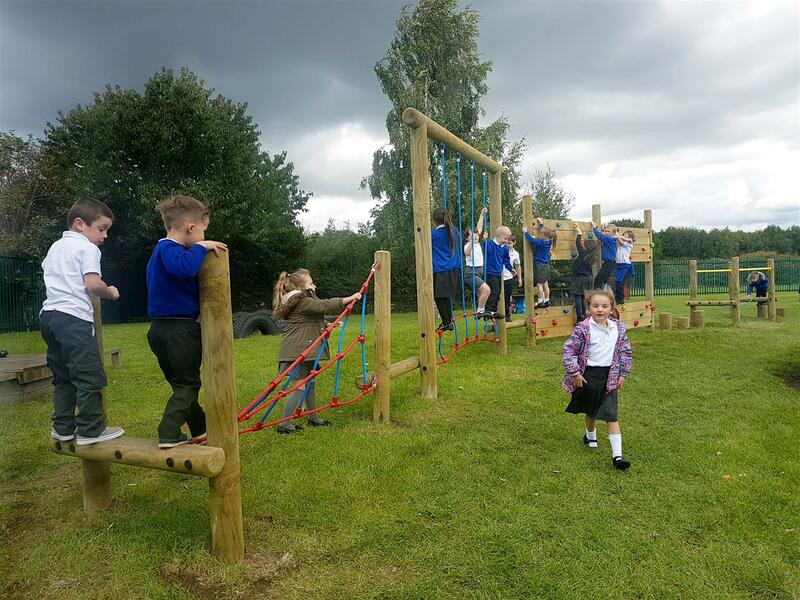 Our Playground Consultant, Meg Booth, worked in partnership with Norton Primary Academy to re-develop their playground environment and create exciting opportunities for physical and cross-curricular activities. 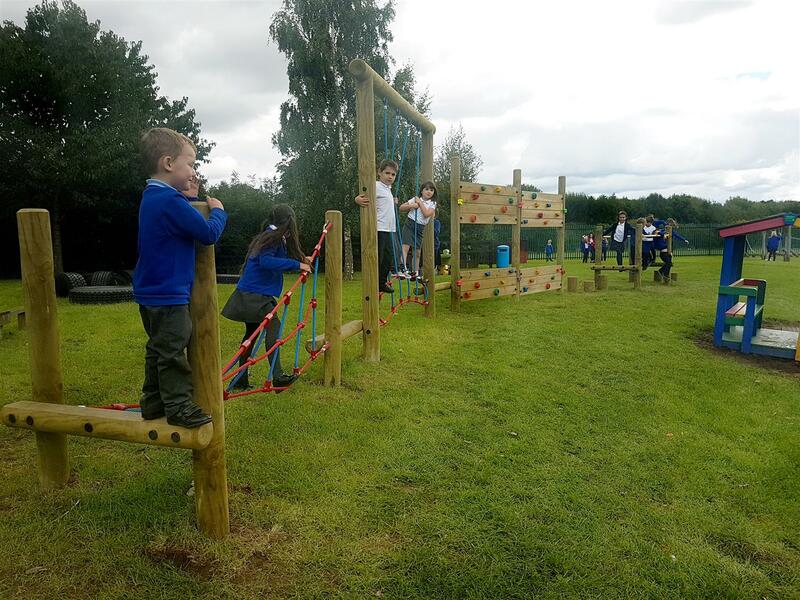 To create a zone for physical development, we installed a challenging Trim Trail complete with 6 different obstacles. 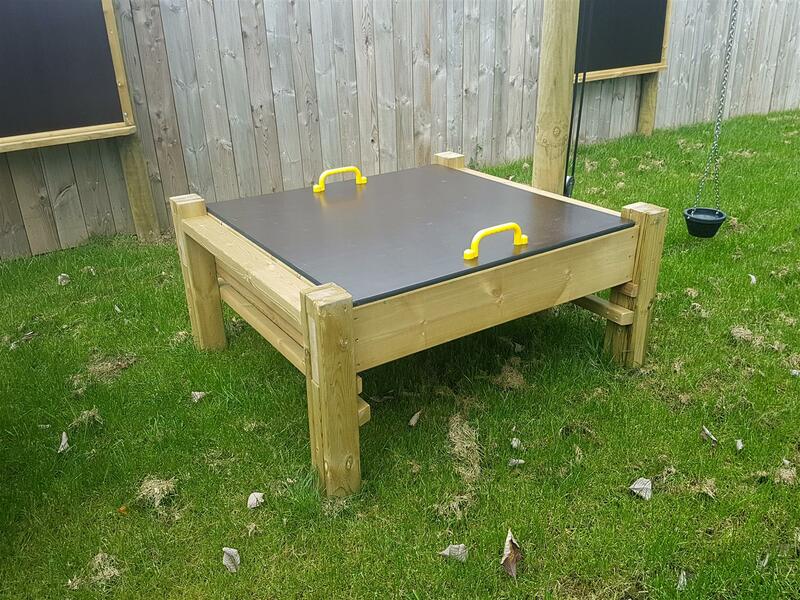 The trail will develop children’s strength, balance, core stability, grip and grasp and both gross and fine motor skills. Large numbers of children can use the trail at any given time encouraging them to communicate with one on another and improve key skills such as teamwork and spoken language. 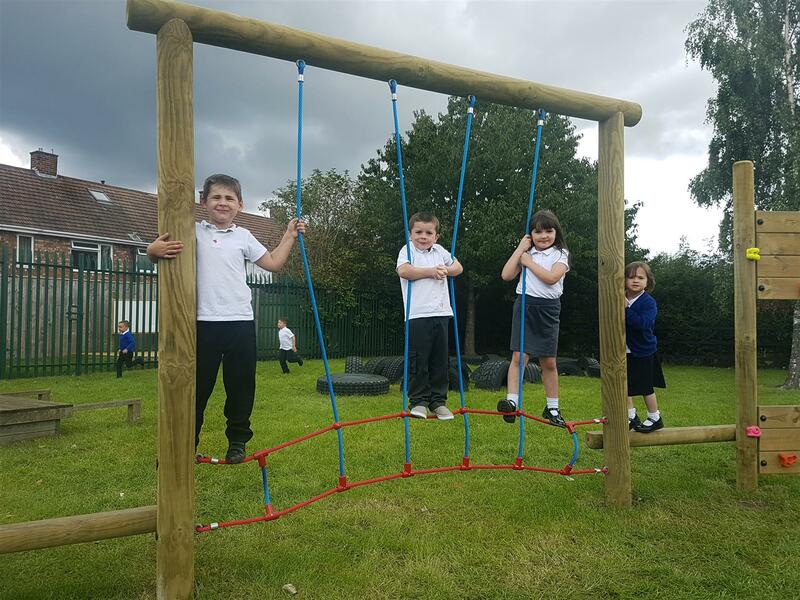 We also added a 4-Way Ball Chute to focus on children’s upper body strength and hand-eye coordination. 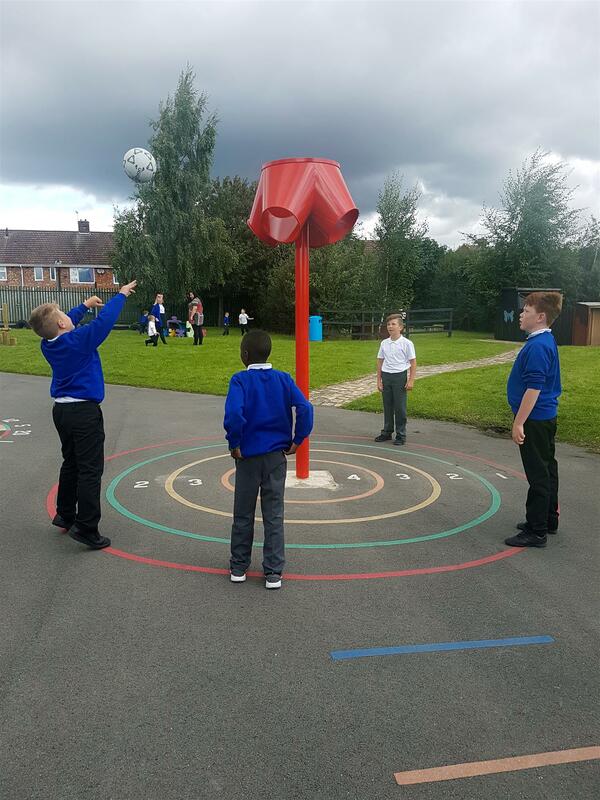 While using this resource, children will improve their accuracy and develop a higher and stronger throw. 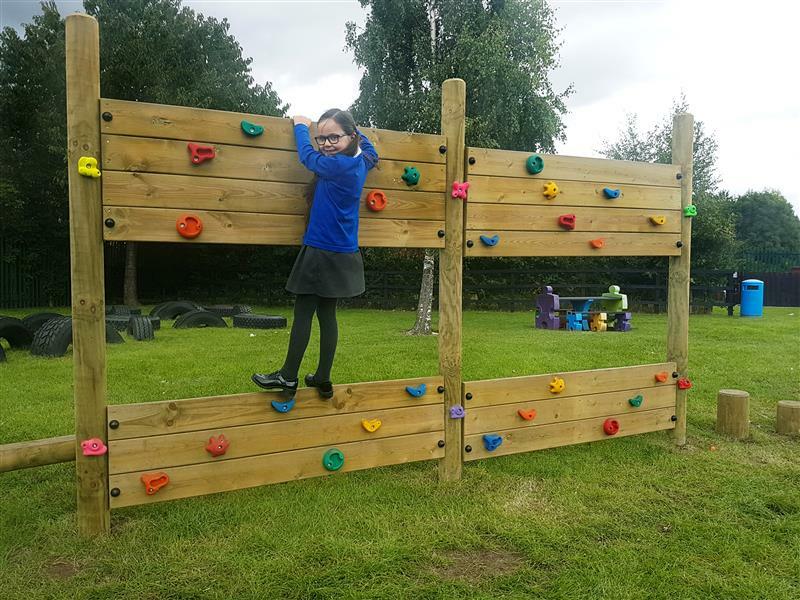 Visit our Trim Trail Page to view our large range of trails for all ages abilities. 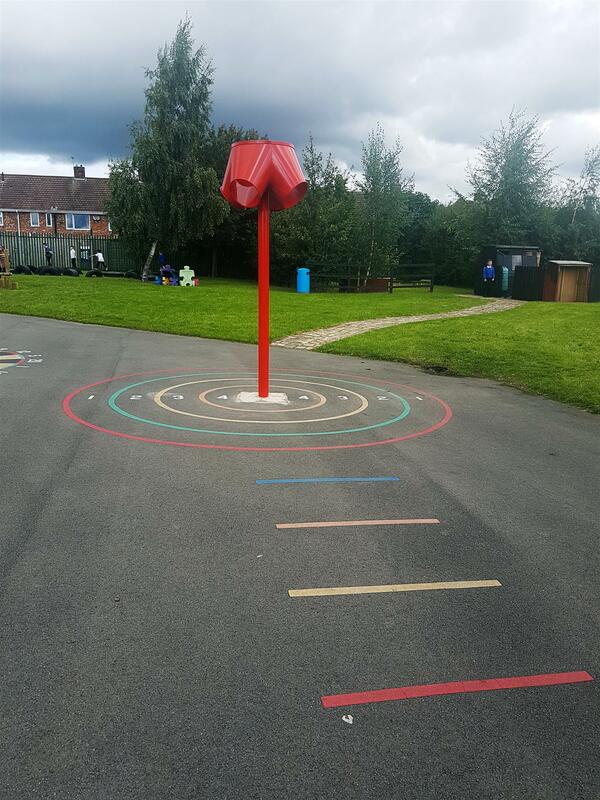 To influence child-led games and creative play, we added a magnificent Musical Stage to the corner of the playground. 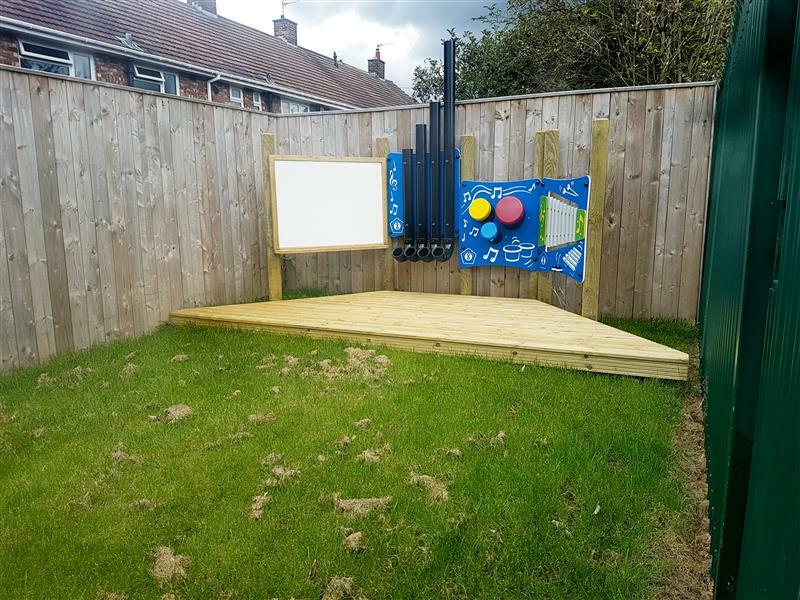 The children now have a platform to express themselves through music and performance. 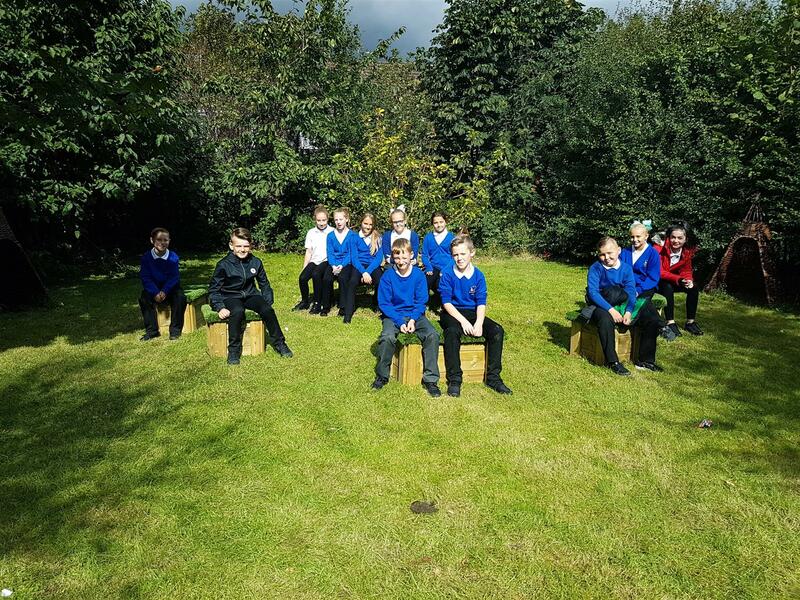 Being outside the confines of a traditional classroom will enable children to feel less inhibited resulting in improved posture and louder voice projection. The stage includes a Giant Whiteboard for children to write rules or create artistic promotions for the show they're about to star in. 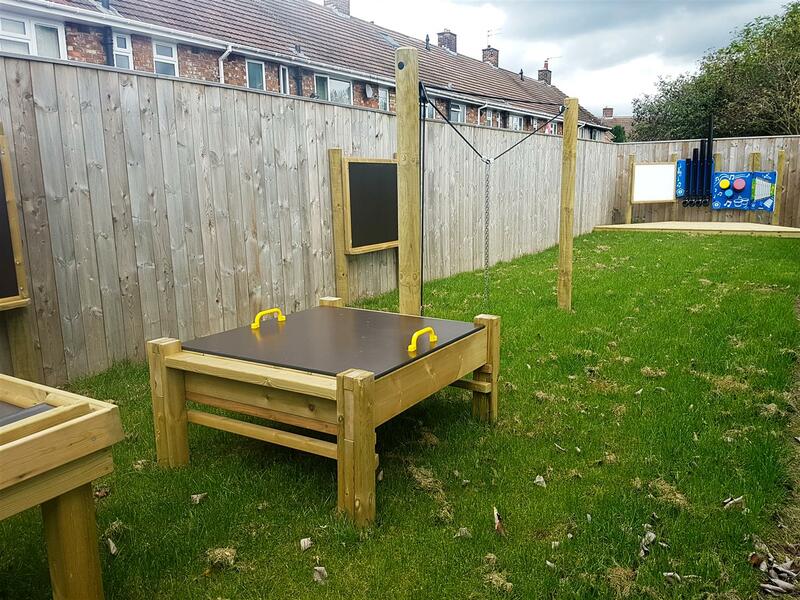 For investigative learning and nature-rich messy play, we installed a Damming Station alongside a Water Table, Rope and Pulley System, Tuff Spot Table and three Mark Making Boards. 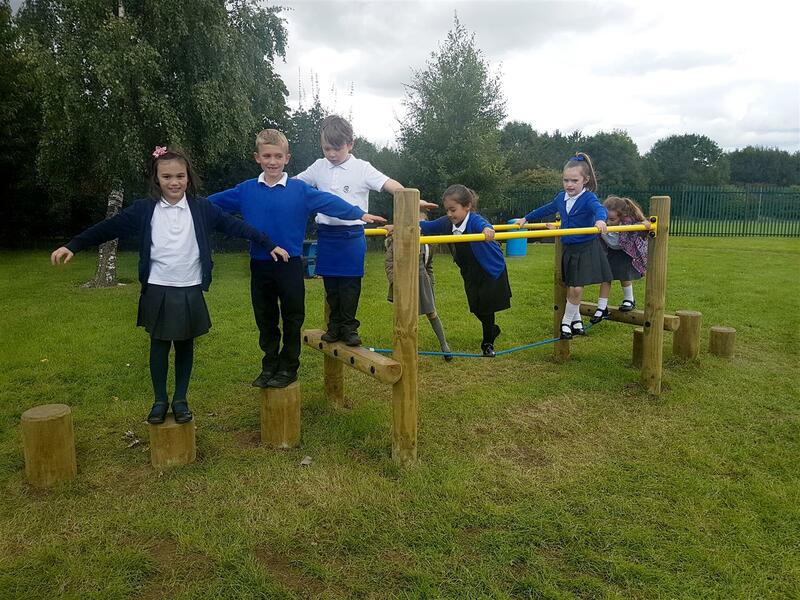 This creates a mini quarry as children need to work together to transport materials across the Rope and Pulley and build dams to stop the flow of water. The children can even use the Mark Making Boards to write down the role of each child to ensure the quarry is fully functional. 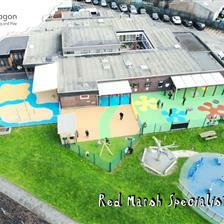 This will also be a fun way to develop children's language, communication and teamwork. 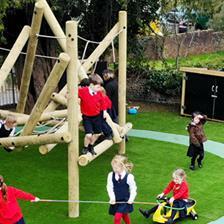 You can view all of our fantastic imaginative play products here. 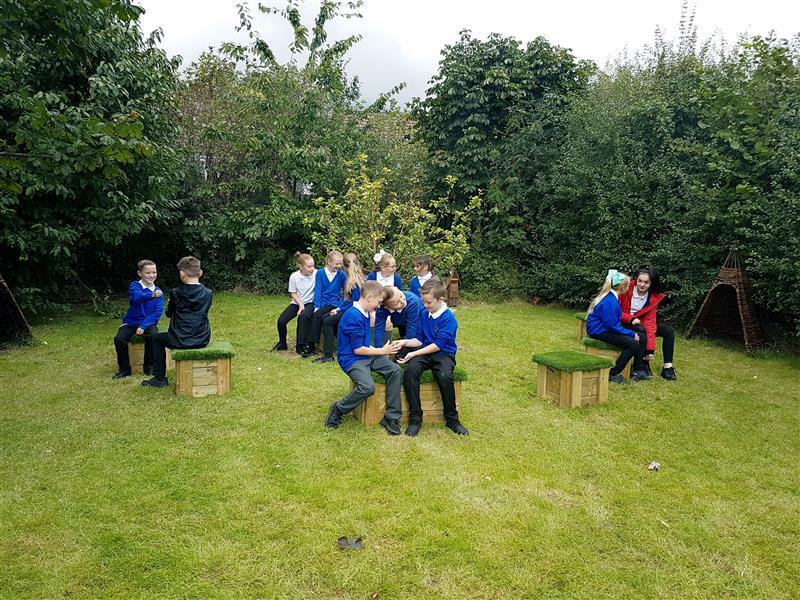 To create a social space, we provided the school with Moveable Artificial Grass Topped Seats which can be used to create a seating area for the children. These seating arrangements are ideal for children to socialise and involve each other in group conversations. 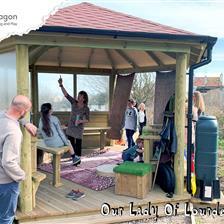 This will also create a peaceful environment for outdoor reading and relaxation. 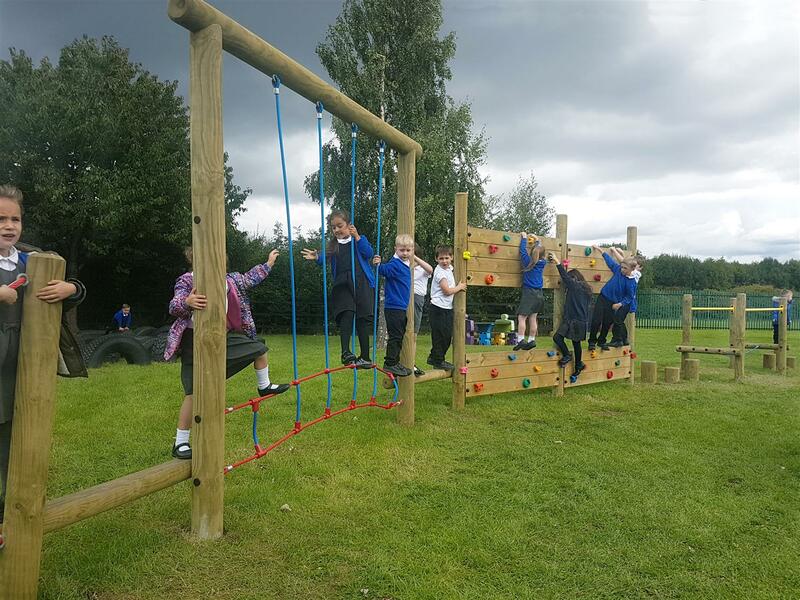 If you are interested in any of the products installed here at Norton Academy or would like to discuss how we could develop your outdoor learning environment, Contact Us online or call us on either 01625 890 330 (Northern Office) or 0117 379 0899 (Southern Office).